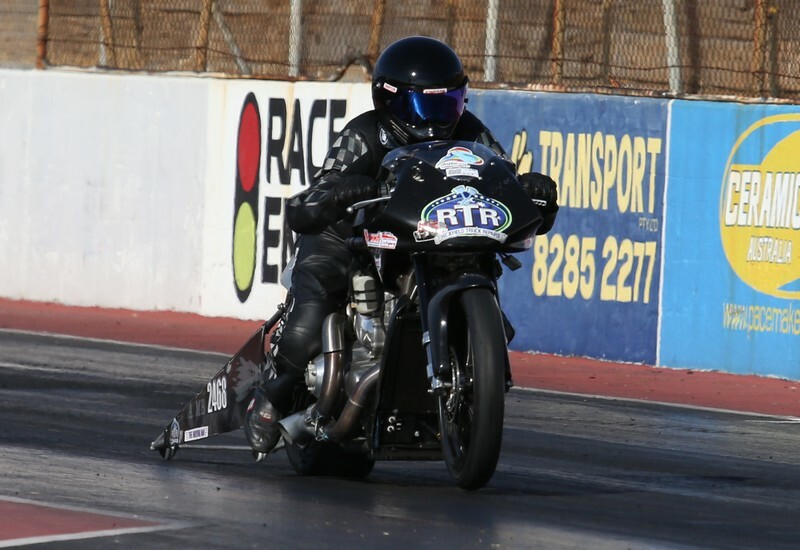 In only his second full Summit Racing Equipment Sportsman Series, South Australian Danny Rickard broke through to take the Australian Title honours in the Modified Bike bracket last month. Rickard had stepped up to a new bike for the 2017/2018 season, racing the ‘Raw’ V-Rod previously owned by close friend Niki Zak – who has been called the fastest and quickest woman in the world on two wheels. “It was a huge buzz for me to win the championship,” Rickard said. “It has sunk in now, and I am very proud to be able to show off the new number on my bike! Danny Rickard in action at the ANDRA Grand Finals. Credit: Outlaw Images. “I am pretty lucky to have some of the best people in the business on my side – most of all my very special friend Niki Zak who has given me lots of coaching and taught me to relax at the light. Yes, at the Grand Final the pressure was high, but I didn’t let it get to me, and obviously all of Niki’s support paid off. 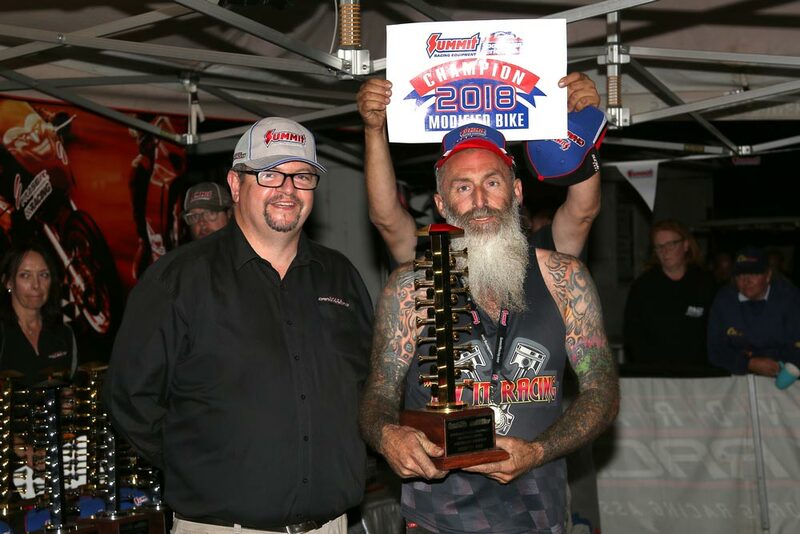 It was a big journey for the 49-year-old diesel mechanic from Adelaide, travelling tens of thousands of kilometres to chase the Australian title in only his second year of racing. “We drove around 30,000kms chasing the whole season and had a few major dramas across those kms including destroying two axles on the trailer, hitting two Roos, and smashing a few rims and tyres; but we also had a ball and met some really great people,” he explained. “For me, I think the best part of the series was racing at the Motorplex in Perth – what a set-up they have got over there! I don’t mind the 32-hour drive to race there and be treated like royalty, so for anyone that hasn’t been there, I say you have to go! “The most challenging part of the season would have been all the time away from business – we went to Nitro Up North in Darwin and then to Alice Springs, over to Perth twice, and also to Calder Park as well as racing at home in Adelaide and fitting in a few regional meets as well – it sure has been fun, but also tiring! So, what’s next for the Modified Bike Champion? “At this stage, our plans for next seasons are a bit up in the air at the moment – it is most likely that I will be going into the Competition Bike bracket, but we will see. What I can say for sure is that we will be back next season on a new bike that is bigger, badder and faster!” he said. “I have really enjoyed the Modified Bike racing, it is a great way to get into drag racing whether you are on a tight budget or going all out with a high horsepower and big dollar bike. It is all fun and we have a great bunch of racers. “We do have a few major sponsors on the way which hopefully we can announce soon too.